5 out of 5 rated by Official Pi Magazine! 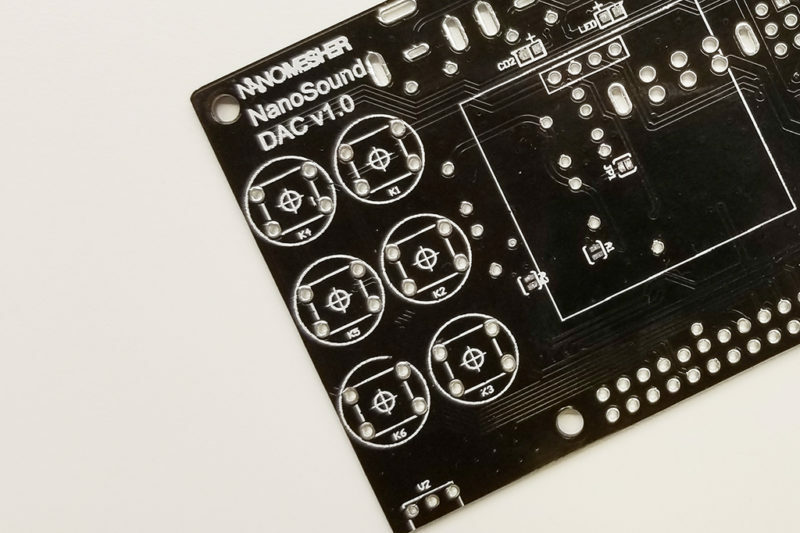 NanoSound DAC is a Raspberry Pi audio add-on board for audiophiles. With a 24bit / 112dB Hi-Fi Audio DAC (Digital Analog Converter) onboard, it dramatically improves the audio quality of your Raspberry Pi. 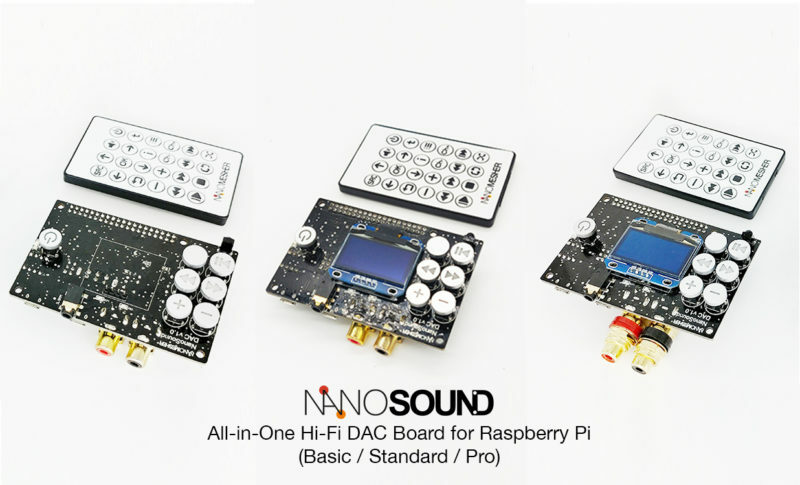 With i2S audio interface, Raspberry Pi and NanoSound DAC gives you the best bang for buck audio experience. A Headphone + Speaker Amp Add-on is also available to provide a fully integrated all-in-one audio experience. NanoSound provides essential functionalities including Media Control Buttons, Display (*), Remote control and Pi Power Switch, all in one package. This convenience give you a true consumer electronics experience, while keeping the full customisation and flexibility of Raspberry Pi. Complementary open source drivers were provider for Kodi and Volumio for most convenience user experience. * - Pro version only. Display can be purchased separately for Basic version. Simple soldering skill is required. 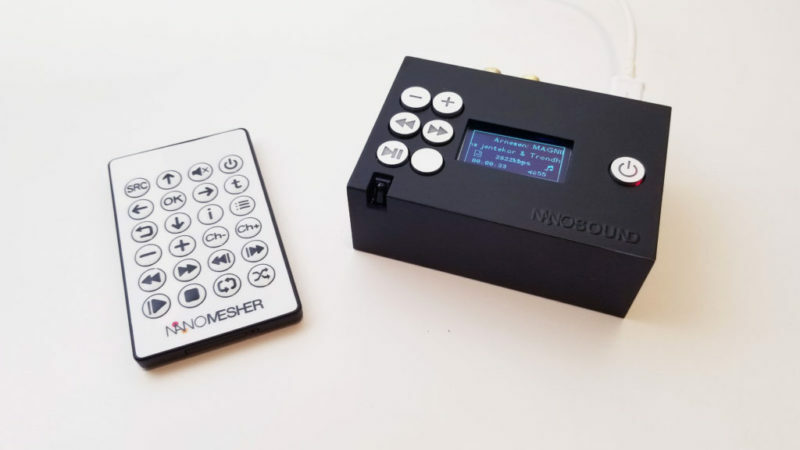 Running Volumio, Kodi and many other player softwares, with 3D Printed Case and Infrared Remote Control, NanoSound gives you the best audio performance and experience you would expect from any great audio player. 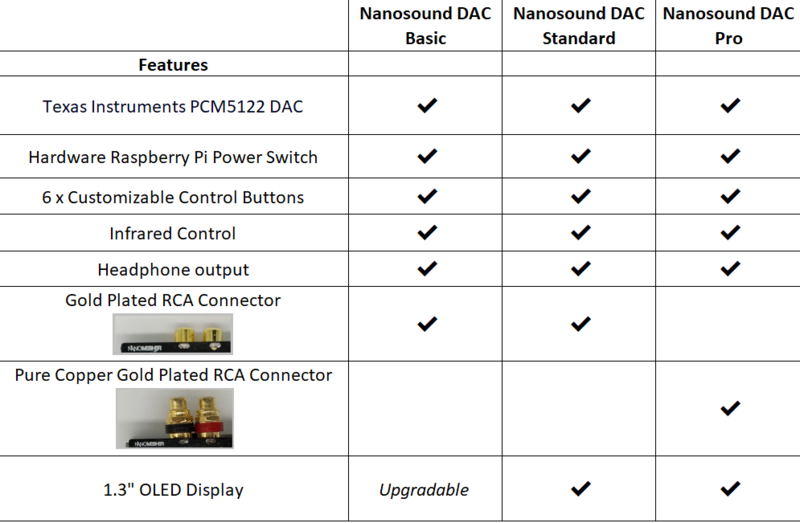 Tom Parsons (via Kickstarter comments): "I backed the NanoSound DAC Pro and other Nanomesher project thru Kickstarter. The Nano sound project when connected to Raspberry Pi 3, is a great way for listening to music. I am impressed by the quality of the sound. It was easy to assemble and in a very short time, I was listening to some great tunes." Michelangelo Guarise (Founder & CEO of Volumio): "We are very excited about this partnership: Nanomesher is a breathe of fresh air into the Raspberry PI audio world, and their newly released NanoSound DAC together will Volumio will definitely be the next cool item for music lovers. NanoSound is unique since it integrates features that a lot of Volumio lovers have been asking: Oled display, Remote and Button controls, that's what makes it so special: NanoSound and Volumio will surely be the ultimate ready-to-play and user friendly Audiophile Music player." 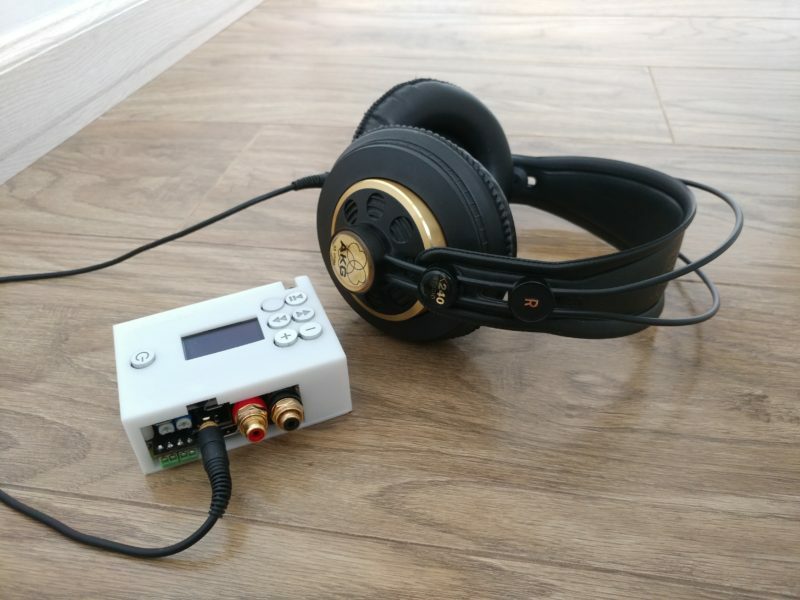 MagPi Issue 66 (5 out of 5 rating):"These buttons and screen are one of the most interesting parts of this solution, allowing you to use the Pi and the DAC together as an all-in-one music player which you can then hook up to your favourite speakers. There’s even a 3D-printed case you can get, with the files downloadable for free.... With a few tweaks you can get it to accept the button inputs of the DAC and display song information on the screen, which is very smart. The kit even comes with a remote control you can control the system with as well. It’s a really neat little package, and it still outputs the great-quality sound it’s primarily meant to do." The 1.3" OLED display is using i2c. The volumio plug-in is open sourced. The onboard on/off switch uses the same design and software as our Nanomesher Hackable Raspberry Pi Power Switch. It has an attiny85 onboard and is open sourced.